At Almond Wellness Centre Acupuncture clinics, we use laser and acupuncture as the main treatment to help people quit smoking. How does laser quit smoking? 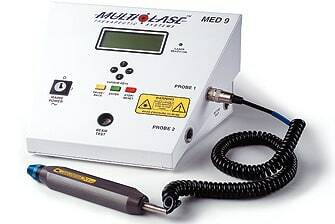 Laser acupuncture uses a cold laser beam to point on the acupuncture points which located on the ear and body. Focusing the laser beam on these areas causes the body to release natural chemicals such as endorphins. Endorphins can help reduce nicotine craving and relieve withdrawal symptoms. 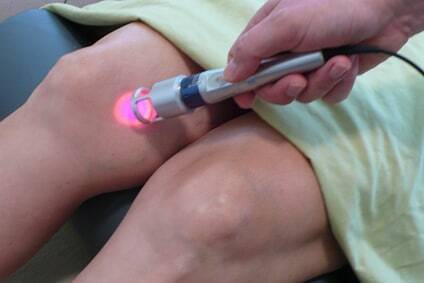 Many of clients report a calming relaxing feeling following a laser acupuncture smoking cessation treatment. In addition to stimulating an endorphin release, the laser stimulates the body”s natural ability to detoxify the nicotine, getting the ex-smoker through the nicotine withdrawal more quickly. Each point will have laser beam for one minute. 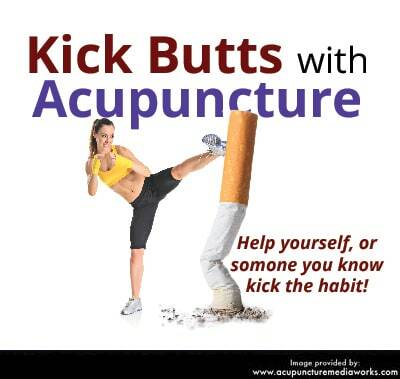 How many sessions do I need laser acupuncture for quitting smoking? Is laser quit smoking safe? The beam used for laser quit smoking is very low energy. Somebody call it Lower Level Laser, or cold laser. All our practitioners are well trained and put safety as our first priority at all time. Actually during the treatment you may not feel anything. Sometime you may feel a slightly warm sensation on a specific point but definitely no pain at all. nIn your acupuncture treatment, you may receive ear seeds. These seeds are held in place on the ear with a small piece of adhesive tape, and are located on specific points in your ear which help reduce anxiety and stress, calm the mind, cleanse the lungs, open the chest, reduce the appetite, and strengthen will power. When a craving occurs, rub each of the ear seeds for approximately 15-30 seconds. Rubbing them throughout the day will help fortify and support your acupuncture treatments.